So what are the current trends in window treatments? The key words are simplicity and minimalism with an emphasis on crisp, clean lines. 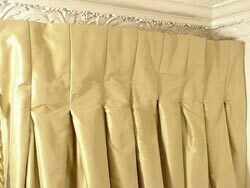 Gone are the days of heavy draped effects using jabots and swags; tab curtains or gathered valances. If you are wondering if any type of valances are still in style this post will answer the question. Not a lot has changed since I wrote this post in early 2012. Because it is so popular with my readers I thought I would add updates that reflect 2015 choices. You might also like to check out Choosing Drapery Hardware. While layering is popular, the overall look remains clean, and the palette is usually consistent for both treatments. Blending colours rather than contrasting ones work best when you want to layer treatments. 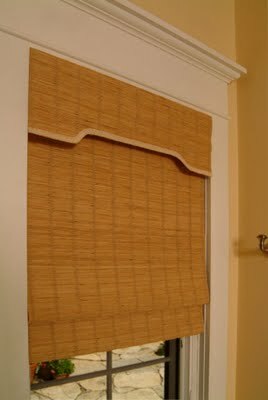 Any type of blind can be used under drapes for a layered look. This is an interesting look with drapes and two romans with the outer printed one stationary I suspect. I am not a lover of the partial rod because it creates a chopped look and I never choose dark rods with light drapes because the rod becomes the dominant feature as it is above. You can purchase rods with elbows that allow you to span the width of a bay window. This is a much more finished look. When you look through new fabrics you are bound to notice that textures and patterns abound. 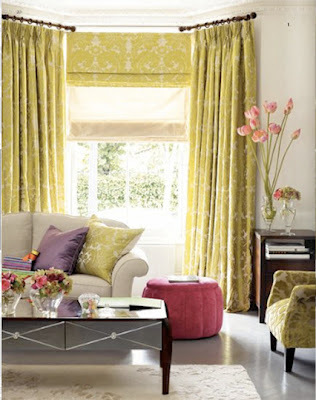 You can't go wrong with geometric patterns, trellis designs, large scale florals, bold colours, whimsical motifs etc. 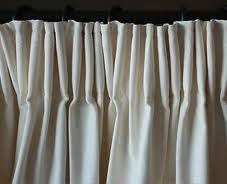 Vertical or horizontal banding is very popular and adds beautiful detailing and interest to any plain drape. You can add banding to good advantage if you want to add visual height or width to a space. 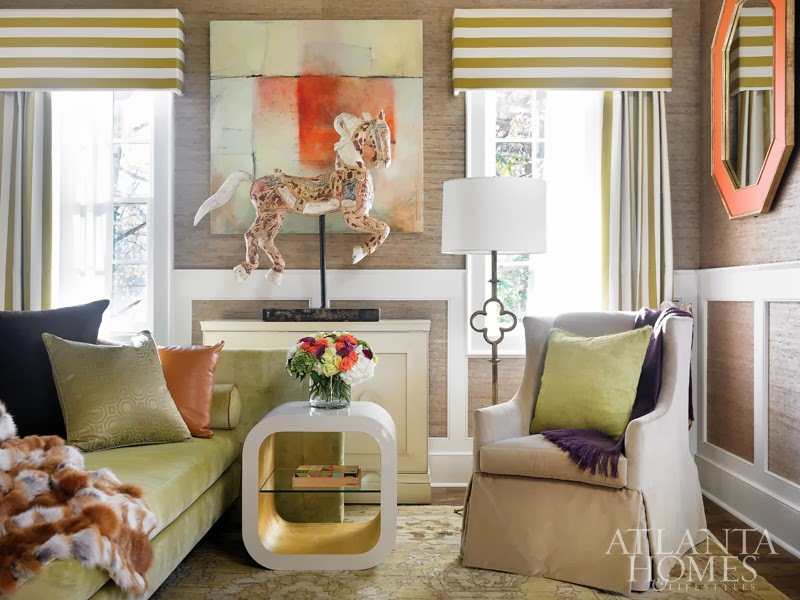 Overall, drapes are getting longer and wider to accommodate the trend to make windows appear larger in scale which is a trending look right now. Lush materials like velvet and silk add to this look. The window treatments in the room below are simple, harmonious with the walls, and allow the view and the room to shine. 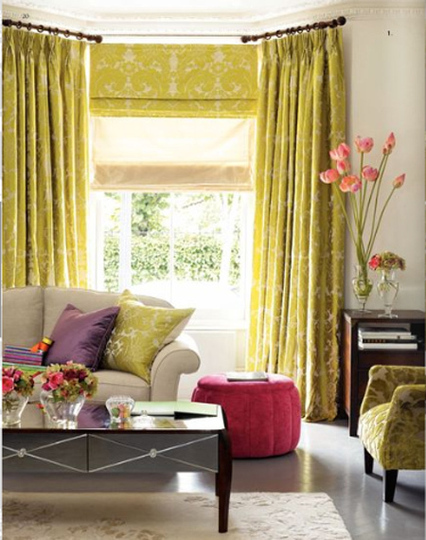 When deciding the colour of your drapes you should first consider the look/feel you want in your space. If you want restful, choose solid colour with texture and keep to the colour tones in the room. While on a recent trip to Europe I noticed that pleats are getting softer and longer to provide a more contemporary and less formal feel in a room. There are many different headings to choose from to get the look you want . You can't beat pinch pleated drapes. They continue to be the industry standard for elegance. Pinch-pleated drapes characteristically retain their shape, maintaining a consistent appearance opened or closed and hang beautifully. The inverted box pleat (back pleat), my personal favourite, is a soft but tailored look for modern decor. It has been replacing pinch pleat styles when a more clean contemporary feel is required. Lighter colours and tone on tone add softness to home decor. Grommets have been around for a number of years and are definitely still in vogue. 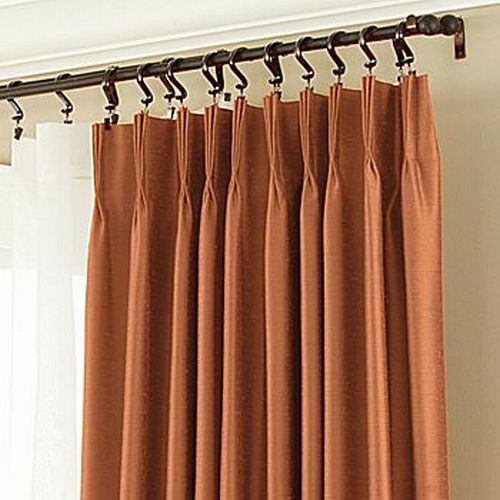 While some grommet drapes can look very informal, it is possible to have a more styled look too. The banded grommets below are a great example. For grommets to look "lush" you need at least 7 or 8 folds at the top. That means purchasing two sets of ready made panels or have custom fully closing ones. .If you plan to open and close grommet panels daily be warned that you will spend a lot of time fiddling to adjust them so they hang nicely. Yes, sheers are still popular, but they are a world away from the fussy, frilly and lacy ones that the word sheer brings to mind. The "new" sheers have subtle iridescence and are interwoven with unexpected materials, or have embossed or printed patterns or contemporary headings as in the room below. 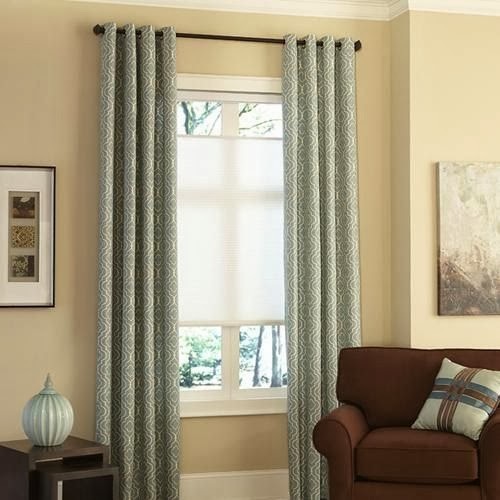 Lisa Stevens & Company, Inc.
Roman shades continue as a favourite for contemporary homes. Who can resist their clean lines and the options for amazing patterns? Because they are a flat construction the fabric needed is much less than full drapes. This allows you to upscale your fabric choice and make a real statement. I can't say enough about Roman shades because they are my personal favourite. Their flat surfaces are almost picture like and work especially well in kitchens, eating areas and bathrooms. Who thought we would see a resurgence in metal blinds? It's driven by the popularity of stainless appliances, and other metals especially bronze in an industrial style loft living. The trend to more eco-friendly materials has prodded this design aesthetic along. most are made from sustainable materials including: grasses, sisal, reeds or bamboo. 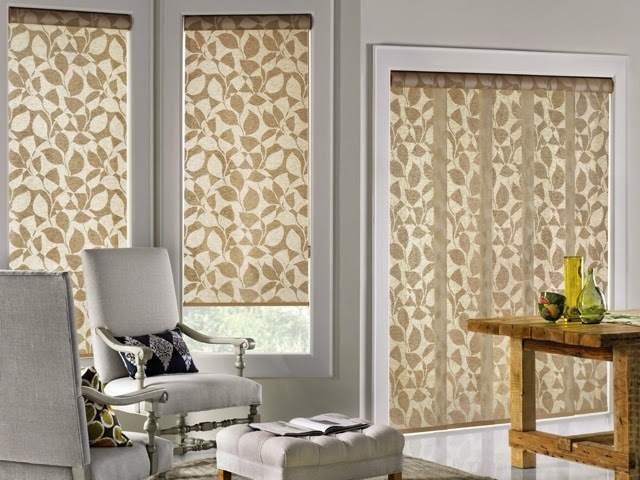 Cellular shades are one of the most versatile window treatments available today. They can be hung by themselves for a very contemporary look or layered with other treatments and provide additional insulation for your windows. 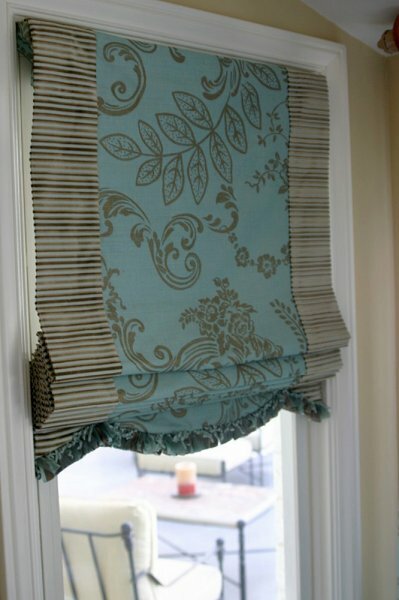 Options for cordless, corded, remote and top down/bottom up round out this very popular window treatment. are available in materials that are wipeable making them perfect for kitchens and bathrooms. So many options for today's windows. All you have to do is decide which works in your home. Do you have favourite window treatments? provide a superior sun protection, light control and privacy, that has a beautiful and classic look that will never go out of style. 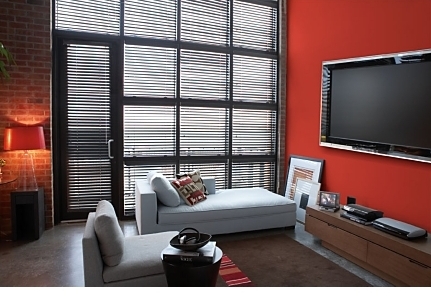 Window Shutters NYC are available in premium hardwood and poly-satin, faux wood compounds. With so many possible design options, there’s no reason for you to keep a dull looking window. I am more of a traditional person so I choose layering. I love the dramatic effect long curtains bring. It looks so romantic. Also, layered window treatment is a good protection from excessive sunlight from the outside. Nice article. Your variety of window treatments are great examples on minimalism and simplicity. Plus your photos catch the popularity of the geometric patterns or natural fibers in this article. Thanks for the information. I really find the window treatments to be very elegant. I love them. Very well said, Shutters, blinds, awnings are now a days used in many homes, offices, clubs etc not only to protect it from bad weather but it also creates an ambience effect to the interior. Nice blog Margaret Ryall. From your blog I came to know how to decorate a home. I also get information about current window desining trends. I use Tilt and turn windows for my home. Thank you for sharing with us such a nice blog. Great article! My favorite is the tone-on-tone using a wider-than-window treatment. I agree about the curtain rod. I usually paint it to match my woodwork or walls, and I often paint my woodwork in a glossier version of the wall color. Great pictures, also. Nice collection you have shared with us. Designs are wonderful. You really did a great job by posting the nice information about Current trends in window treatments.Thanks for the awesome information about it. That's because i love your blog!! You always busy with something. 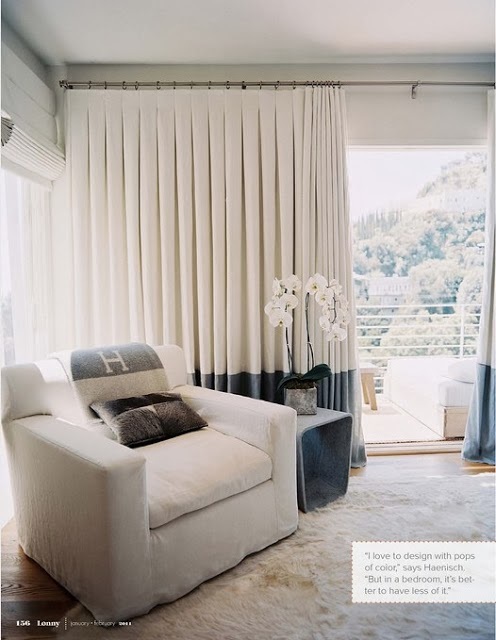 thank you for sharing such relevant information about latest trends in window treatment...i really like all the ideas..and yes true to say that stripes never go out of style..i appreciate your concept of simplicity and minimalism .. Very informative on the new trends. How in are rods and pelmets this year? design is going through a transition now. A lot of the old is also back but are rods and pelmets that in too? Fair and lovely article. Nice information about Windows treatments. These are very nice! To take inspiration from these trends is good but it all boils down to your own preference. You don't have to necessarily follow what's popular. Nevertheless, for this batch though, I'd definitely go for something simple but classy like those sheers. Excellent Article!Thank you for sharing such relevant information about latest trends in window treatment.I always like to collect information about current window designing trends and decorate my home with variety window designing trends. In recent i use Tilt and turn windows for my home from reynascustomupholstery.com. which is the best window treatment shop in Atlanta. Thanks for this post! I am designing my new house right now and this helped out a lot. Keep up the great work on this blog! Interesting blog. Windows is a very important part of any home. I think window blinds and shades are more cool options are as compare to curtains. They not only look more fashionable but are also more protective tools for windows. 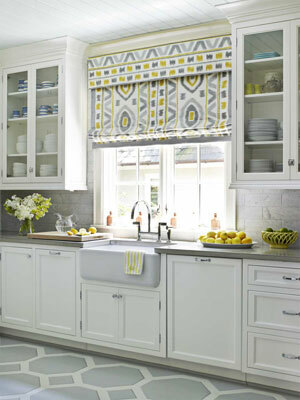 I love the roman blinds, particularly for the kitchen- they look amazing! Window shades can give any room a new and fresh look. Am thinking of installing wooden blinds to my room and I hope this will be a good decision. Honeycomb shades is so versatile when it comes to light control and privacy and I think one of the best advantage of a honeycomb shade is that it is an energy saver. Thanks for sharing the post with beautiful curtain designs. I found some beautiful curtains at http://www.cheerycurtains.com/ for my home in affordable price. very interesting post ..i loved the way you give idea to decorate home , I was looking for curtain and vertical blinds for my apartment. I searched a lot for this and finally ends up with Gloriumptious where I got my blinds, curtains and loved them. Their prices were very competitive and the quality was great. Gloriumptious Interiors, work towards making your children’s room come alive with custom curtains and boys’ blinds in several inspiring and funky designs. The prints on offer put a special emphasis on creativity when dealing with children’s blinds. very interesting post. If you have any querry regarding blinds you can visit at Creative curtains. Quite interesting - love the variety. I love long and heavy curtains. But vertical or roller blinds I love more. It is so practical and looks very good. Easy to clean and easy to use. ikat fabric is really great option for decoration either it is wall decoration or furniture decoration. It goes very well with everything. There's a couple additional exterior window treatments you didn't include, Margaret! Awnings (including retractable ones) are excellent at provide shade for home interiors. These are aluminum shutters that roll up and are mounted on the exterior of the window/home! Excellent for added insulation and home security! Check these exterior products out at the ERS Shading website! Good quality, soft velvet! - finish your room by modern velvet drapes! Thanks for your marvelous posting! I quite enjoyed reading it and as usual as to gain idea how to design to my home. Roman shades are my favourite too! We especially love patterned shades. They look so nice wherever I install them in our home; be it in our bedroom, kitchen, or living room. Stripes are always searched by customers, in Socal there was a trend for Stripes decorations on Bedrooms mostly on kids bedrooms. 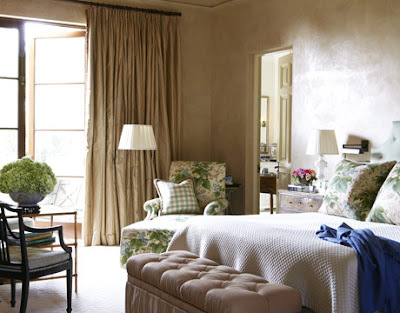 Although Plantation Shutters are the favorites, people still use a lot of Custom Draperies for indoors decorations. If someone want to read more about that Blinds I think this is the right place for you! I love Roller Shades...Nice article, thanks for sharing with us. Very well written about the current trends in window treatment, which is information and knowledgeable. Thanks for sharing this inspirational blog. Thank you for sharing this article. I know that window treatments, blinds are a versatile way to add style to a window and control the light that enters a room. There are several types of window Blinds in Guruvayur to choose from, and each offer their own unique style and design. Small windows, large windows, and even doors benefit from the various window blind options available. In order to make the right choice when purchasing window blinds, consumers need to understand what types are available, and how they are commonly used. Vision blinds Twin blinds give you a unique two in one setup which allows you to combine two contrasting fabrics in one shade for one window. By installing Twin Blinds, during the day enjoy view through a highly translucent, light filtering fabric and at night. I should say thanks for this useful article about the blind,. Wow.. that is very nice post, thanks for sharing the inspirative things, if there any one can say something about my posting about black interior Doors , i am glad to hear it.. I have used this method for years.I just use a good all purpose cleaner and a regular garden sprayer on the hose.I did have some white blinds discolor slightly from leaving in the sun so best dry them in the shade. The stunningly beautiful prints, colours and the fabric material of one such kitchen Roman blinds that I bought online from a designer home furnishing store in London was of premium quality and that made the difference to the overall aesthetics and ergonomics of my kitchen area which now represents a much more refined, soothing and refreshing look through this beautiful custom Roman blind. You really did a great job by posting the nice information about Current trends in window treatments.Thanks for the awesome information about it.If you need more details then visit sofaking dubai. Thanks for posting such a nice and informative blog.This blog is helpful for the readers. A nice posted article as I find it informative. Thanks for sharing your review and thoughts about different window treatment solutions. Cheers!